GBL is a Japanese brand that sells casual American style apparel with designs and motifs taken from Studio Ghibli movies. 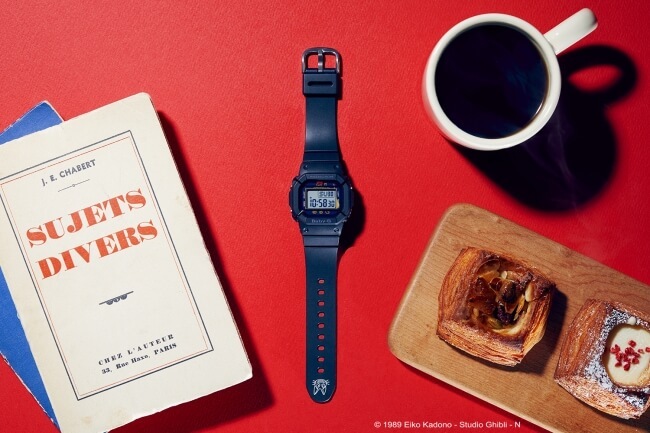 To celebrate the 30th anniversary of Kiki’s Delivery Service and the brand has teamed up with BABY-G, which is also celebrating its 25th anniversary this year, to release a wristwatch inspired by the internationally beloved film. 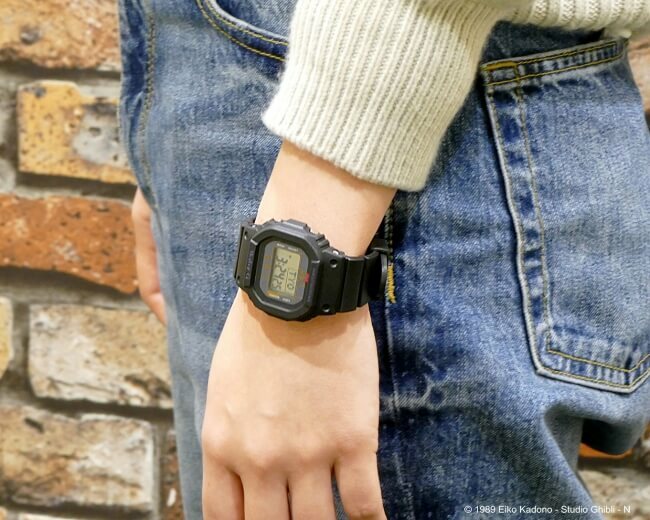 The base for the wristwatch is the BGD-501 model which was a tremendously popular design in Japan in the 2000’s. The limited edition anniversary item is littered with Kiki design. 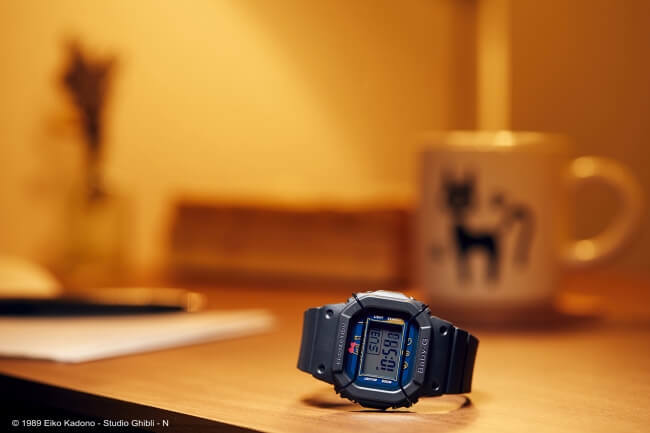 The watch’s dial is inspired by the movie’s poster advertised when the film was released which featured Kiki working at the counter of Gütiokipänjä Bakery. When the watch’s internal back-light shines you can see the bakery’s logo. 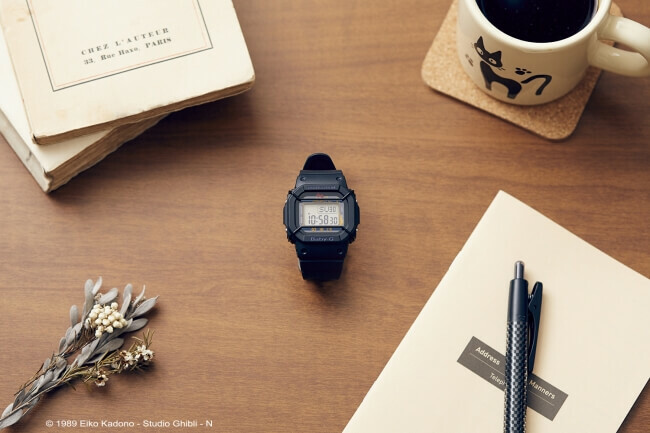 The timepiece’s body comes with in matte black making it easy to co-ordinate with outfits. Donguri Kyowakoku is taking online orders from early March and will sell it in-store from early April. Further information will be made available in the near future on GBL’s brand site and Instragram page. Studio Ghibli themed moisturising cream – “Kiki’s Delivery Service” and “Whisper of the Heart” collaborative designs!